Woo (standing) shares his ideas with teacheers in a session. MATHEMATICS is more than being logical and knowing how to reason. It is also about being creative, open and communicative. Sounds contradictory? Well, not according to famed Australian Mathematics educator Eddie Woo who believes that the reasoning and logical skills developed from learning Mathematics are not exclusively mutual from being creative and artsy. “Many people think that Mathematics is a tough subject. “In fact, everyone can embrace and enjoy Mathematics if they learn it in an engaging way,” he says. Teaching Mathematics should be playful and inquiry-based but should also include rote-learning and textbook exercises, he adds. Teachers, he adds, often ask students to copy something from their textbooks, solve it and repeat the process again and again when it comes to learning Mathematics. “Textbooks are wonderful servants but terrible masters,” he says, pointing out that teachers tend to depend on textbooks and workbooks during lessons. “We teach students a pattern and we want them to recognise and repeat it,” he says, adding that this kills the creativity that can be found in solving Mathematical problems. Woo, whose family was from Kuala Lumpur, was in Malaysia recently to share his love of Mathematics with about 200 secondary school teachers and students during two engagement sessions at Petrosains, The Discovery Centre. In his “teaching voice”, he discussed and presented interesting topics such as Dispositions for Mathematical Success, Four Compass Points for Beginning Teachers as well as Reimagining Mathematics and Mathematics Games. 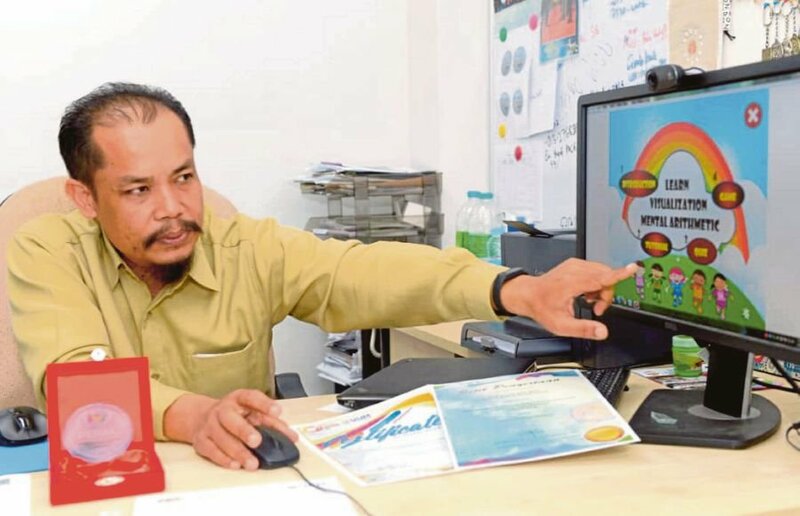 Woo is known for his innovative and personal teaching approach and in 2012, he started posting videos online for a student with cancer, who was missing out on lessons in school. It wasn’t long before his videos found a global audience and his Youtube channel, “Wootube” now boasts more than 300,000 subscribers with more than 19 million views. On ways to bring more creativity to the teaching process, Woo says that teachers should work with their peers who teach other subjects, pick their minds and come up with new innovative ways to teach their lessons. Woo admits that Mathematics was not his favourite subject as a child and that he always pictured himself as a humanities teacher. He is the head mathematics teacher at Cherrybrook Technology High School, New South Wales in Australia. “In Australia, we don’t want to just develop (Mathematical) knowledge and skills. We want them to become confident and purposeful mathematicians,” he says during his first engagement talk. “Can our students take an idea, a solution and not just be able to find it but place it into someone else’s mind so that they can understand it?” he asks the teachers, explaining that this should be their goal when teaching Maths. Teachers should not be thinking about preparing their students for exams or keeping them busy until they go home. Learning maths is about learning to collaborate, open and creative, he adds. Australian High Commissioner to Malaysia Andrew Goledzinowski says Woo’s methods have made Mathematics more interesting and has given him new insight into the value of education. THE next time you’re worried about parking, check your app. The Chong brothers – Emerson, 10, and Sheldon, 12, aren’t old enough to drive but that didn’t stop them from attempting to solve a grown up problem. Inspired by the Internet of Things (IOT), the homeschooled brothers spent over a month working on a smart parking app that tells drivers whether parking lots at the place they’re heading to, are full. They were the Kuala Lumpur Engineering Science Fair (KLESF) International Challenge 2018 bronze medal winner in the primary school category. Explaining their invention, the Chongs said using RFID (radio frequency identification) tags that contain driver and vehicle information, the app can even be used to book and pay for parking bays. KLESF steering committee co-chairman Datuk Hong Lee Pee said the fair’s objective was to promote interest in science, technology, engineering and math (STEM) education among youths and the public. The KLESF International Challenge 2018 was a main highlight as it allowed students to exhibit their original inventions. Emerson and Sheldon with a prototype of their invention. “This year, 400 teams from 150 schools participated,” said Hong. The International Challenge was among a myriad of exciting events including exhibitions, hands-on experiments and workshops, robotics, coding, science and chemical engineering competitions. Kayson Choo, who was among the exhibitors, showcased his team’s humanoid fighter. Using motion sensors, the humanoid punches when Choo moves his hand. “Now it’s only the hands but we’re working on a prototype that will be controlled entirely by motion sensors. The KLESF was jointly organised by the Asean Academy of Engineering and Technology (AAET), Universiti Tunku Abdul Rahman (UTAR), Malaysian Industry-Government Group for High Technology (MIGHT) and the Institution of Engineers Malaysia. Held from Nov 2 to Nov 4 at the MINES International Exhibition & Convention Centre (MIECC) in Seri Kembangan, over 60,000 visitors thronged the three-day event to promote STEM. 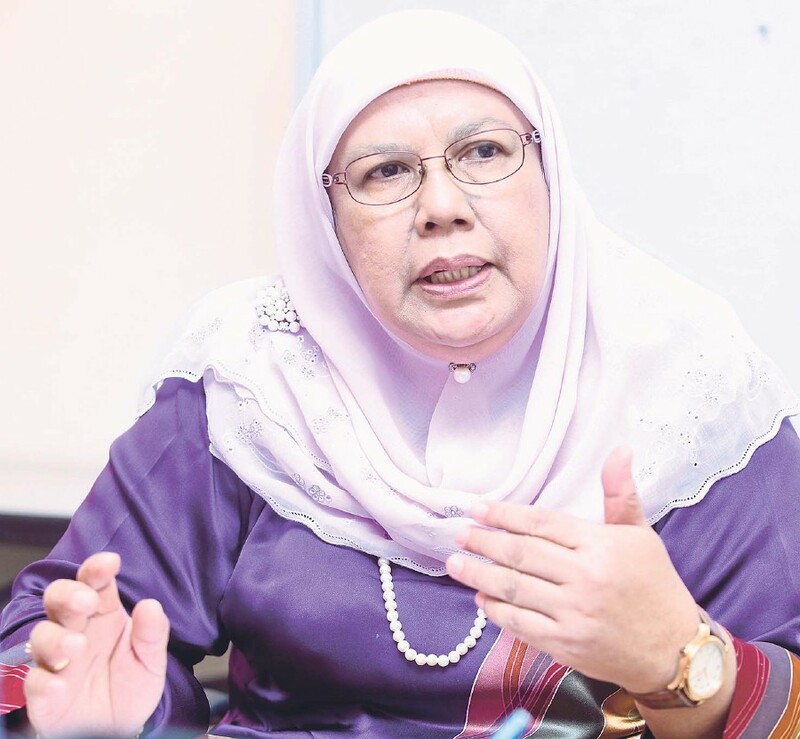 Education Ministry’s Department of Higher Education director-general Datin Paduka Dr Siti Hamisah Tapsir, who launched the fair, said STEM education was important in producing critical thinkers and innovators for our future workforce. Innovation leads to new and improvised products and processes that sustain our economy. And such science literacy depends on solid knowledge in STEM, she added. Last year, it was reported that only 47% of school students opted for the science stream – short of the targeted 60:40 ratio of science and technical stream students to arts students. “We’re working very hard to get students interested in STEM because the future is transdisciplinary. Everyone will need to understand and interpret data – even those in the arts field. “The ministry’s centralised university unit (UPU) has to scrape the bottom of the barrel to get STEM students. So long as they meet the minimum requirement, students are offered STEM courses,” she said, adding that the ministry has conducted various initiatives including the setting up of a national STEM centre to promote hands-on activities and fun learning. The centre’s inquiry-based science education (IBSE) workshops for 1,200 teachers nation-wide was recently completed, she said. IBSE, she said, was crucial in developing critical skills for efficient learning. The ministry, she added, welcomes engagement with all quarters as promoting STEM education has to be a concerted effort. “Whether we like it or not, most of our activities are dependent on technology. Technology plays a big role in cooking, going places, studying and staying in touch with loved ones. Even when sleeping, technology keeps us cool and comfortable. But the decline in STEM interest, AAET and UTAR president Prof Datuk Dr Chuah Hean Teik said, was a global phenomenon. He said it was important that STEM careers are highlighted in the media. Children naturally find STEM interesting as many toys today have scientific elements, MIGHT chairman Tan Sri Ahmad Tajuddin Ali said. The problem is that children lose interest when they go to school. The KLESF should strive to be as big as the Edinburgh International Science Festival. This, he said, would help generate interest among youngsters in the field. Go to www.perdana4peace.org and www.majalahsains.com for more details. Good luck, all! CALLING all writers, including schoolchildren, university students and the public. There are cash prizes totalling RM27,000 for winners of an essay competition. The competition carries two themes. The first one is “War is a Crime” and the second one is “Science for Peace”. The competition is jointly organised by the Perdana Global Peace Foundation (PGPF) and Majalahsains.com. The two entities decided to organise the competition as part of a national drive to create more awareness of the dangers of war and what science can do for peace. Hurry up if you want to match your writing skill with others and grab the prizes offered. The competition is held to commemorate the United Nations Educational, Scientific and Cultural Organisation’s World Science Day for Peace and Development on Nov 10. It is hoped that writers would promote the theme through their use of English or Bahasa Malaysia. Let the statistics speak: 35 million people were casualties of World War 1 (deceased and wounded); 60 million in World War 2; one million in the Korean war and 3 million in the Vietnam war. You can dispute the numbers, but the fact remains that war is a savage manifestation of human attempts to solve conflicts. PGPF is heading the call to make everyone realise that war is a crime and the perpetrators ought to be taken to task and brought to justice. in the Syrian and Yemen conflicts run into hundreds of thousands more and still counting. 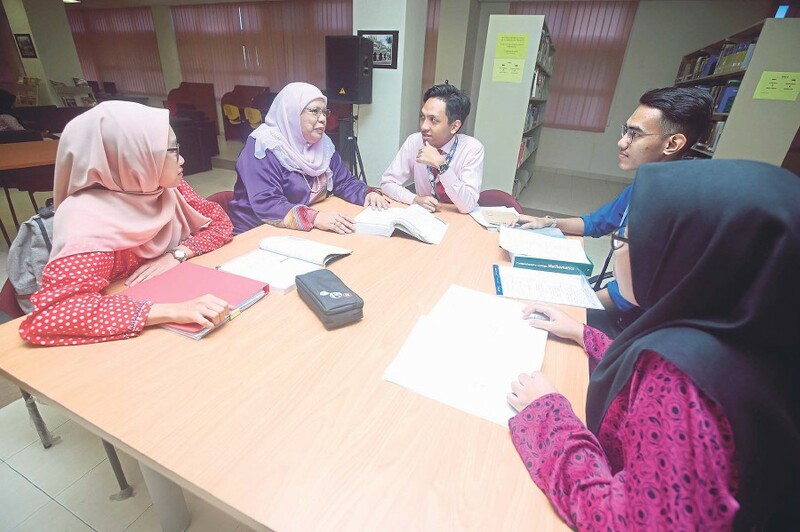 For university students and the public, first prize winners (of both English and Bahasa Malaysia subcategories) will get RM5,000, RM3,000 for second place and RM1,000 for third place. The theme, articulated in not more than 2,500 words, is criminalising war with the emphasis on how do we move forward in a world without aggression. There will be six winners under this category. If you have enquiries, contact Nuh Izuddin at 03-2092 7248, or email pgpfevent@gmail.com, and Hasfazilah binti Hassan at 012-500 1051 or email asfa.majalahsains@gmail.com. Students showcasing their invention at a STEM fair. Malaysia’s STEM initiative is to generate a pipeline of students that will eventually fill the one million new STEM careers that Malaysia will need by 2020. WHEN people think of pineapples, a sweet and tangy fruit comes to mind. What many do not realise however is the time-consuming effort taken by pineapple farmers to determine the optimal ripeness of the fruit for harvesting. Most farmers have to wait around six to 12 months for the pineapple to ripen as the conventional methods of determining the ripeness of a pineapple depend on its colour, size, aroma and how it “sounds” when tapped. But three students from Universiti Tun Hussein Onn Malaysia in Johor have created a handheld sensing device that can assist pineapple farmers in evaluating optimal levels of ripeness of the fruit for harvesting – without resorting to poking or prodding. Calling themselves Team Pine, the students leveraged on a combination of technologies such as optical sensing, machine learning and Internet of Things to perform the Brix test (a common method of determining quality of fruits) on pineapples. Sweet success: Team Pine from Universiti Tun Hussein Onn Malaysia created a sensing device for farmers that evaluates pineapple ripeness. The technologies that the team employed made them champion at Microsoft’s Imagine Cup Asia Pacific Regional Finals. The team then went on to become the champion at Microsoft’s Imagine Cup Asia Pacific Regional Finals. What made Team Pine’s victory even sweeter was that their passion for pineapples goes beyond just helping farmers make a better living; they set out to help Malaysia meet the United Nation’s Sustainable Development Goal #12 – responsible consumption. Most technical problems can be solved with the application of Science, Technology, Engineering and Mathematics (STEM). Just like how Team Pine drew together technologies from different STEM disciplines, virtually all solutions require the combination of insights and application from the science spectrum. But most importantly is having the people behind the technologies with the foresight and interest to connect the dots and innovate. This is the vision of the STEM initiative in Malaysia. The initiative is ultimately tasked with providing a pipeline of students that will eventually fill the one million new STEM careers that Malaysia will need by 2020. These jobs include doctors and technicians as well as careers of the Industrial Revolution 4.0, such as data scientists and programmers. According to the Malaysia 2018/2019 Salary Guide by Kelly Services & Capita Global, fresh STEM graduates with minimal work experience can expect upwards of RM3,900 as an automation engineer or even RM5,200 as a Java developer. The initiative looks at more ambitious targets beyond raising a generation of future innovators and technopreneurs; it seeks to create a tide that lifts all boats and inculcate a STEM mindset in every Malaysian student. The Education Ministry also believes that a core of STEM literacy and the values and approaches from a STEM education are integral in life and career, even outside of STEM. For instance, the scientific method of generating and validating hypotheses is the foundation of the management consulting practice up to this day. This goal of embedding STEM knowledge and skills in all students is best reflected in a prominent global movement that Malaysia is part of – STEMforALL. It represents the philosophy that a STEM education is relevant and beneficial to all, regardless of gender, socio-economic status or even ability. Behind all the good intentions of the wonders and future in STEM lies a massive challenge that countries around the world face – globally fewer children are interested in STEM. In the United States for example, it is estimated that the country will face a shortage of more than 2.2 million STEM workers while the United Kingdom is currently experiencing a 40,000 shortfall in STEM graduates across the country – costing the country’s economy an estimated £63bil a year in lost GDP. In Malaysia, it sees a steady drop in student enrolment in Science streams. The number of Form 5 students studying Science subjects has dropped an average of 6,000 per year since 2012, and this year’s enrolment stood at only 167,962 out of 375,794 (44.7%). Equally worrying is the quality of STEM graduates. More than 48% of Sijil Pelajaran Malaysia (SPM) candidates failed to obtain a Credit grade of C for Additional Mathematics, a prerequisite to enrol in STEM undergraduate courses. What is even more worrying is that science and technical graduates have the highest unemployment rate among all other graduates in the country at 20.7%. There are many theories when it comes to how interest and quality of students in STEM fields is nurtured. One of the most compelling methods is to provide STEM experiences to students through extra-curricular activities. Research published by CBE-Life Sciences Education found that students who are exposed to extracurricular encounters, such as visiting a science fair or watching a scifi movie, are more inclined and interested in STEM. The research team followed a group of young students that demonstrated clear passion in STEM through joining the Aspiring Scientists Summer Internship Programme (ASSIP) and completing 300 hours of research, despite their early age. What was even more interesting was that most of the encounters were introduced to the students through parents, relatives or friends. Thus, a combination of being led to an encounter by a trusted source and the inspiration from the encounter itself was enough to ignite a passion and interest in STEM among the students. This is the direction that our Education Ministry is taking – providing quality STEM experiences to students across the country. Among the efforts taken by the ministry include expanding STEM related extra-curricular activities such as F1 in Schools (an international STEM competition for students) and STEM+ clubs. The ministry is also spearheading a STEM mentor-mentee programme in which teachers and students are partnered with STEM professionals and undergraduates to allow for a hands-on experience of the industry. The ministry has also invested in state and national-level STEM fairs where students collaborate and compete to apply their knowledge on STEM subjects and create innovations. However, the ministry and schools cannot do this alone. As research indicates, parents and kin play an extremely large role in lighting the first spark of interest among students. There is a wealth of opportunities for parents to get their children involved, from watching films such as Disney’s Big Hero 6 to taking their children for an introductory coding class. This is why the ministry is piloting a STEM Change Agent Network together with Microsoft Malaysia and organisations such as Petrosains and Kidocode to organise more engagement activities to spread awareness of STEM among Malaysian parents. 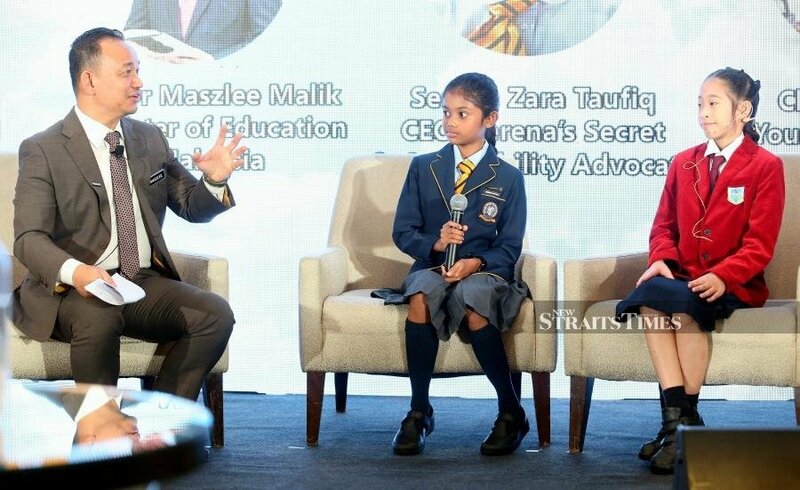 “As we work towards future-proofing Malaysian youth with inclusive education and digital skills, we are proud to be partnering PADU (Education Performance and Delivery Unit) and the Education Ministry, as STEM and digital skills are the passport to new opportunities in today’s global economy,” said Dr Jasmine Begum, director of Legal, Corporate, and Government Affairs for Microsoft Malaysia and New Markets. Rapid calculation method helps kids to improve maths skills. KUALA LUMPUR: It is not simply by chance that the Chinese are strong in mathematics. The ability to do mental arithmetics has been ingrained in them since the age of 5. Hence, mental calculations forms part of their daily habits. When a child is counting, their brain is developing. The result of this is that their brain also develops faster. The Mental Arithmetic system being used in China today is Shifengshou Rapid Calculation – a rapid algorithm method, where a person is able to mentally calculate very huge numbers without the assistance of computers or calculators. Shifengshou has a simple set of calculation rules and is highly systematic. It encompasses Addition, Multiplication, Subtraction and Division. This rapid calculation method is learnt just by one hand. Today this multi maths system is a core part of China’s education primary syllabus. Parents are increasingly sending their children for Mental Arithmetics classes, not just to be adapt in mathematics, but also to develop creativity, problem solving and resourcefulness. When a child’s ability to problem solve is cultivated, the child is able to handle tough challenges in life, and help them grow with strong analytical skills. This is especially suitable for hyperactive kids, where a lot of that excess energy can now be transformed to faster brainwork. Even for adults, the practice of mental arithmetic keeps the brain stimulated, and hence they become mentally sharper and more alert. For some background, the Shifengshou Education International Department in China was set up in May 1991 for the purpose of researching, developing and promotions. EXCEPT for the oil-rich countries on the Arabian Peninsula, the rich, industrialised countries of the West and Asia all owe their good fortune to their mastery of science, technology and innovation (STI). Indeed, with few exceptions that prove the rule, a nation’s economic prosperity is determined less by the richness of its natural resources than by the rich ingenuity of its human resources. Wisely, therefore, investing in STI has been and will continue to be a cornerstone of Malaysia’s economic strategy for decades. Growing up in a multicultural and multireligious country like ours, however, influenced and moulded over centuries by the movement of seafarers from ancient civilisations in China, India and the Middle East, I have always been conscious that in this modern age, balanced progress is required ever more so. I am often reminded by Distinguished Professor Datuk Shamsul Amri Baharuddin, the founding director of Universiti Kebangsaan Malaysia’s Institute of Ethnic Studies, that when all is said and done, the survival of this country hinges on the ability of our various communities to come together to form a united nation. No amount of technological advances could ensure peace and prosperity if we, the citizens, are at loggerheads. Sixty-one years after Merdeka, this nation is still “a work in progress”. What we are going through at present, according to Shamsul, is a state of social cohesion. What we need for a prosperous and inclusive society is true national unity, notwithstanding our ethnic and cultural differences. “Social cohesion,” he says, “is a situation where there is peace, stability, prosperity and wellbeing in a society, specifically one which is multi-ethnic, because there exists a strong social bonding built over many years” of co-existence. To help us achieve national unity there must be greater understanding among our diverse communities, facilitated by the behavioural sciences in moulding our future generations to have a stake in this blessed country. Our emphasis on the mastery of science, technology, engineering, mathematics and medicine (STEMM) is essential in light of the explosion of advanced technologies that one would anticipate with the advent of the Fourth Industrial Revolution. Many observers believe, therefore, that STEMM can and should remain the bedrock of our science-driven socio-economic development. The growing view is that our children’s education needs to be completed with a sense of national purpose or “soul”. Some scholars have termed this complementary set of disciplines HASS — which stands for the Humanities, Arts and the Social Sciences. This notion has been around for some time, but, it has been gaining traction now given the challenges faced by countries aspiring to meet the 2030 Development Agenda set by the United Nations and the fact that science alone can’t solve many of the problems the world is facing today, which are often cross-sectoral and multidisciplinary in nature. Increasingly, countries are seeing the value of HASS in research allocation. For example, in Canada — a diverse, multicultural country like Malaysia — the national government will reportedly invest C$925 million (RM2.8 billion) over the next five years not only in science and health, but also in HASS research. The Canadian budget also includes C$275 million (RM844 million) for interdisciplinary and high-risk research to be administered by the Social Sciences and Humanities Research Council (SSHRC). Along with Canada’s health and science-based funding agencies, SSHRC provides special funding schemes to support STEMM and HASS interdisciplinary work. 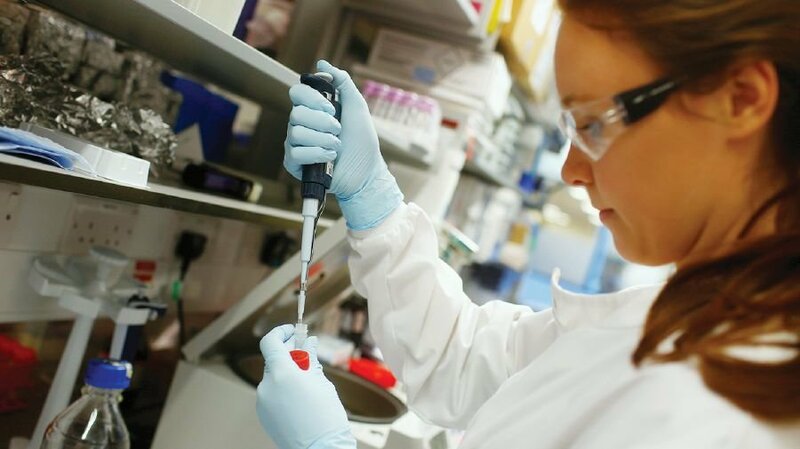 These initiatives not only provide strategic funding to support top researchers, but attest to the value of the HASS disciplines in full partnership with STEMM. It is, therefore, timely, with a new government in place, for us to review our education policy to incorporate and integrate STEMM with HASS so that a new breed of citizens can be nurtured to take on the challenges of tomorrow. You are currently browsing the archives for the Teaching of Science and Mathematics category.